It’s an interesting challenge to create a historical fiction children’s book that young children would be able to appreciate. In this interesting attempt by Demi, the art work definitely appeals to young children. However, the content of the book may be over their head, at least until 8-years-old. Nevertheless, I personally love the ability to share history with children in a way that is enlivened and beautiful. Who knows where it will lead the child in the future? Furthermore, just because the book is an illustrated book, doesn’t mean it is only for very young children. 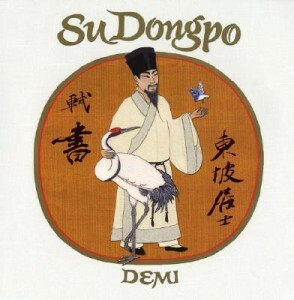 In this particular children’s book, we are introduced to an important figure in Chinese history, Su Dongpo, who had quite an interesting career, being in and out of favor with emperors at various times in his life. We watch his wisdom carry him through all the turns of life, and it inspires us to take things as they come. Best of all, this children’s book succeeds because of Demi’s art work. Every children’s book she does has incredible illustrations; for that reason alone, I love getting her books, and sharing them with children. This book would work well in a home school or Waldorf curriculum studying the Chinese culture. The text is quite informative, the model of Su Dongpo and his approach to life is impeccable, and the chance to appreciate Chinese culture is a way to expand children’s worlds.